Last Friday's winner of the reading challenge at Sharnford: BIRCH! With a superb 86 signatures. 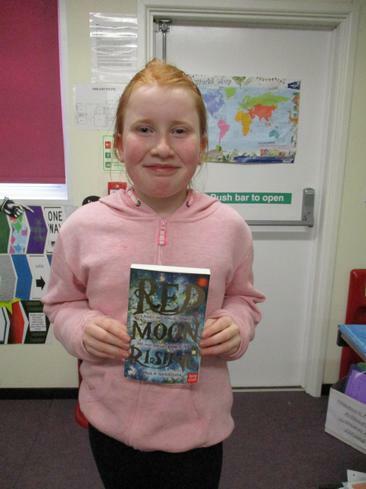 Emma chose 'Red Moon Rising' for our class! Well done all and keep getting those signatures!